is Starbucks still a thing? In this day and age of fair trade, pay what you think it’s worth high concept coffee shops is Starbucks still a thing? I see a few blogs where the writers say they love coffee more than most other things in life but the question I have is this. Is Starbucks still a thing? Would people rather go to a small local chain or to the big boy? 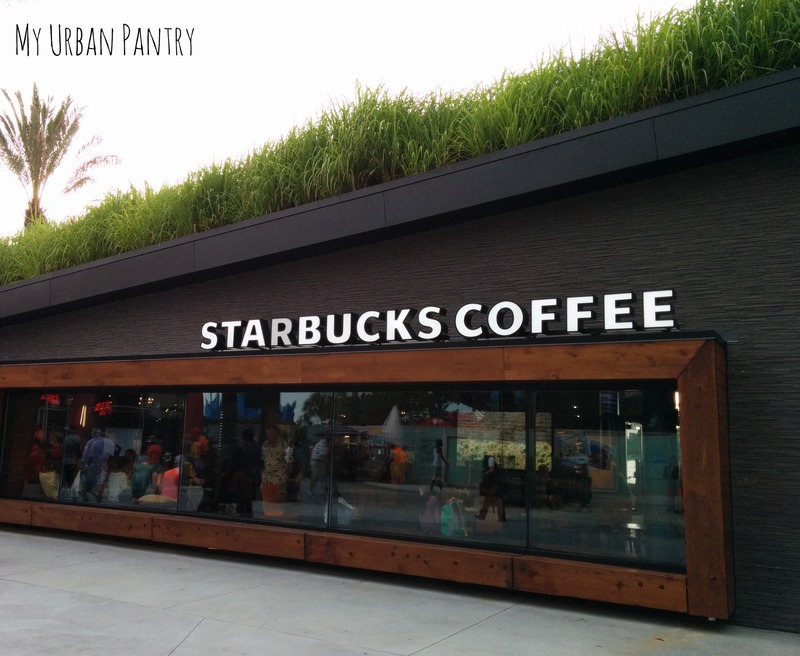 Has Starbucks extended their reach as far as DisneyWorld but lost their swerve? Become the Chili/TGIF’s of the coffee world or are they still as relevant as ever? We swang by–and that was no small feat in this day of a remodel in progress Downtown Disney that has been called the seventh pit of hell for traffic –the new mothership Starbucks a while back. It was actually our second try to get access to Downtown Disney in a few weeks. The parking right now is terrible during the updates and with the summer crowds it is better for my sanity to just stay away. But since the mothership of Lego is also located there we do make the attempt now and then. It is a really beautiful and huge store. Full of reclaimed wood, warm coffee colors and technology all while being green and swishy with coffee ground compost grown lemon grass on the roof. The queue is super long and there are tons of seats and a kind of cupping bar where you can try single origin pour-overs. There is some neat tech that draws the people in the shop in line drawing and I believe is live action in a California counterpart. Bi-coastal up in here. I’ve enjoyed having access to Starbucks at the Magic Kingdom and at Epcot. For me its a piece of my happy place-a hot cup or tall cold drink in the midst of the sometimes chaotic Disney experience. I wonder somewhat if that is the city of my birth or maybe because I hit my early adult years in their heyday. I do love me a bitter cup of Starbucks. That said, I wouldn’t make this shop a destination but I can see why people might. What do you think? Is Starbucks still a thing? Why? oh Starbucks is still very much a thing. it’s not a “hip” thing; it’s more in the “staples” category.